Classic meets contemporary, this timeless ring is crafted from indulgent 18ct white gold, as part of the Vera Wang LOVE collection. 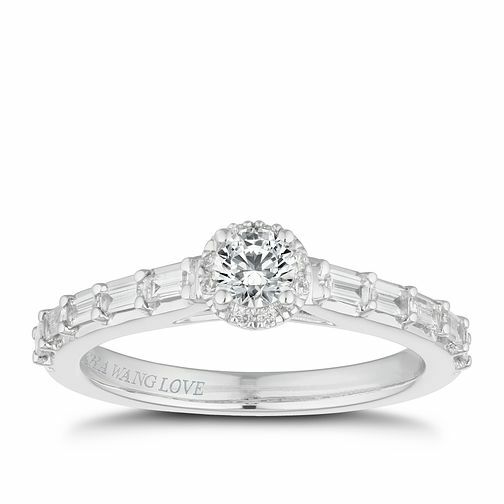 A round diamond is set to dazzle in 4-claws, surrounded by a heavenly halo. Stunning shoulders are presented with baguette diamonds, a sophisticated sparkle only accentuated with an opulent hidden sapphire upon the gallery. The total diamond weight for this ring is 0.45ct.